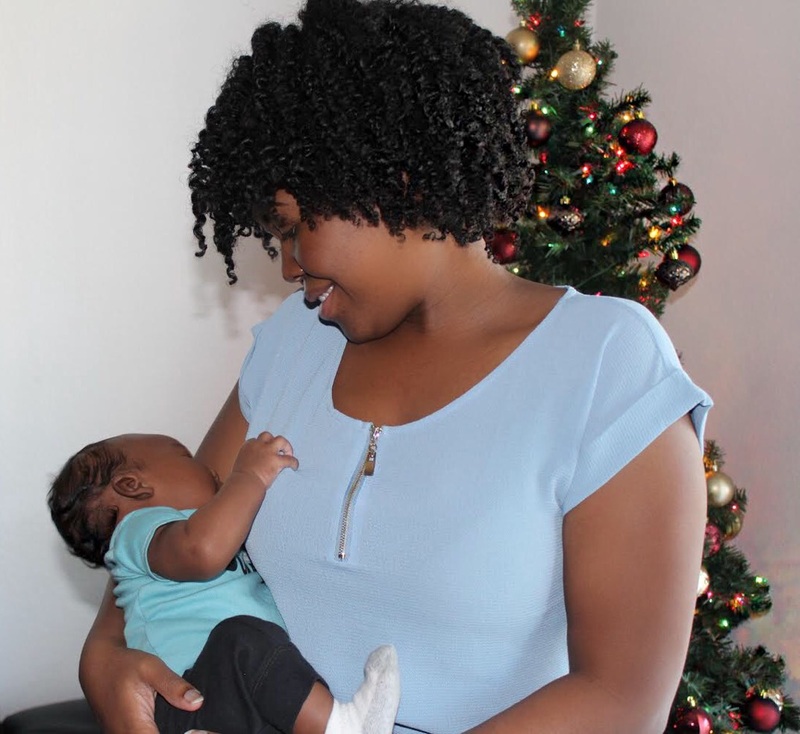 My first Christmas as a mother was lovely. My husband enjoyed every moment of being a father for Christmas right along with me. We took our Christmas photos in our living room while being all cheese out during the process. It was a new-found love for being in front of the camera all over again for me. Just being able to capture life precious moments all with photos is amazing to me. I put my away my phone and just started snapping it up 'as an amateur photographer. It felt is super cool too. On Christmas Day, I thanked God for allowing me to see the holiday and to be able to spend it with my own little family. Just last year I was so happy to have Christmas off from my job, because I worked for Christmas day at my job before. It’s the trivial things like being able to spend time with your family during the holidays that really hit home for me. When I was growing up I never experience Christmas with presents under a tree. My mama never had a tree in our home. So just having a tree up and being able to decorate it meant, so much to me. It was not about having presents underneath the tree at all. All the materialistic things do not excite me. I did not give a damn whether my Christmas tree was artificial or real either. I was still fill with joy regardless. I spent the afternoon at my in-laws and around six that night we headed back at home. My mother-in-law threw down in the kitchen as usual and my stomach was full! I even was the one this year who said grace before we all ate our Christmas meal this year. That was a new experience for me too, coming from a background of having hardly anything to eat for Christmas. I’m a very humbled young woman and will instill the true meaning of Christmas in my son and future kids. Christmas damn sure is not about the gifts or well-wishes. It's about the celebration of Jesus Christ. There are so many people who did not live to even see this holiday season and I just want to smile and be at peace each every time I am blessed to see another Christmas. I truly have a deep appreciation for value of spending quality time with the people you love for the holidays. It did hurt me to not be able to see my own family this year for Christmas, but I made it through. 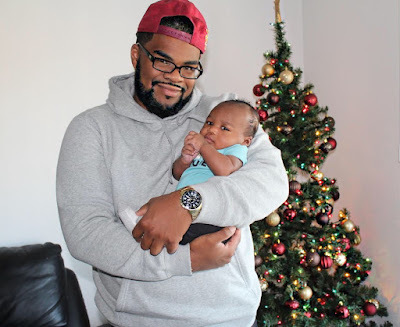 I did not get anything for Christmas and even though my husband and I are on an extremely tight budget and we couldn't get gifts for one another, our baby filled us with happiness. Our baby was by far the hugest blessing to happen to and in our lives. We are thankful and can't wait to experience more timeless memories during the holidays.